Cherrie enjoying the Museum of Wellington City and Sea. Cherrie enjoying the nicely accessible thermal pools at Hanmer Springs, New Zealand. Unfortunately I have to preface this blog post with this notice. The photos on this blog are the copyrighted property of Charles Pannell, and SATW and/or its employees or agents have no authority to use them in any way or to repost them. Sorry guys, but after having photos lifted twice in less than a week by the organization, I’m a little wary. Now.. on to the meat of the post. 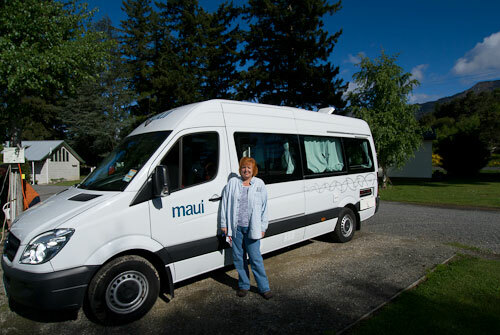 Our home for the next week in New Zealand -- a Maui camper van. 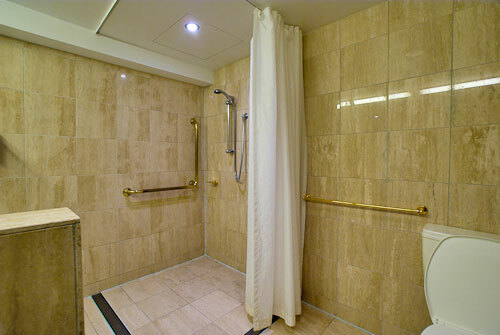 Roll-n Shower in Room 511 of the Amora Hotel in Wellington, New Zealand. Well it’s time to hit the road again, and this time we are off to New Zealand. 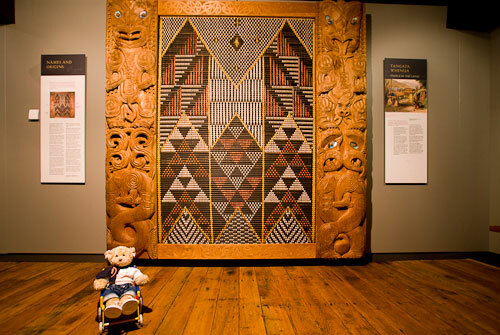 I was totally impressed with the access on my last visit to the North Island, and am looking forward to exploring the South Island with Charles and Cherrie on this visit.